The right to health is a human right recognized by the International Human Rights Law. Similarly Intellectual Property Rights (IPR) are seen as a human right of the inventor worthy of recognition. Moreover, IPR is very much a private property rightfully owned by the proprietor. However, the relationship between human rights and IPR has been the topic of many debates in the recent past. The position with regard to International Human Rights Law is very clear – the socio-economic and cultural (ESC) rights of the people are and indivisible part of human right and must be respected, protected and fulfilled by state. The economic reality today, on the other hand, forces State to turn away from these ESC rights, towards harnessing entrepreneurship and increasing trade and also on the grounds of resources conflicts. IPR too have increasingly come into conflict with ESC rights, specially the right to health. The adverse impact of IPR on the right to health has been in the forefront of human rights debate in the 21st century. Intellectual Property law is an essential piece of legislation in any country. The challenging tasks therefore, is to ensure at least basic level of harmonization with the human rights - such as right to health – that are imperiled by these laws. Traditionally, adequate health care has been associated mainly with prevention of disease and availability of health care. Today however, health is viewed as a right, which encompasses highest attainable standard or physical and mental health. Thus the right to health ‘embrace [s] a wide range of socio-economic factors that promote conditions in which people can lead a healthy life, and extends to the underlying determinants of health, such as food and nutrition, access to safe and potable water and adequate sanitation, safe and healthy working conditions, and a healthy environment’. It further includes the right of the population to participate in all health related decision making at the community, national and international levels. The Universal Declaration of Human Rights, the International Covenant on Economic, Social and Cultural Rights (ICESCR), and several other international covenants recognize the obligation of State to guarantee the enjoyment of right to health. The General Comment on the Right to Health issued by the United Nations Committee on Economic, Social and Cultural Rights is considered the authoritative interpretation of the rights to health as contained in the ICESCR. This General Comment delineates the nature and the extent of the obligation cast on the State towards the realization of the right to health. According to these provisions, the obligation to guarantee all persons the enjoyment of the highest attainable standard of physical and mental health is multifaceted. The General Comment outlines threefold obligations, to respect, protect and fulfill the right to health. It specifics a minimum standard of obligation which must ensure the availability of minimum essential levels of primary health care at all times, irrespective of other considerations, such as resource constraints. 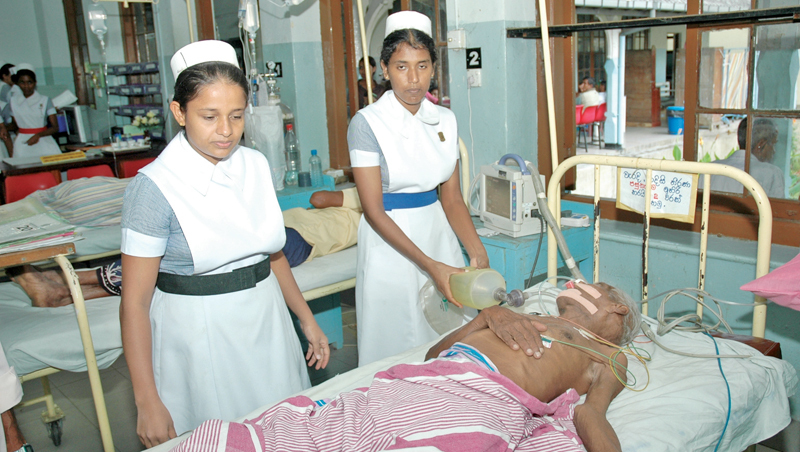 At present, however, the right to health is not recognized in the Sri Lankan Constitution, nor is it included in the Directive Principles of State Policy. Recognition of a justiciable right to health would be essential. This would permit persons whose right to health is violated to take his complaint to a court of law. The intellectual Property Act No. 36 of 2003 (hereinafter referred to as ‘the Act’) replaced the Code of Intellectual Property Act No. 52 of 1979 (as amended). The new law has been designed inter alia to provide for the law relating to intellectual property and for an efficient procedure for registration, control and administration thereof. Section 62(2) of the Intellectual Property Act (IPR) states that Act: ‘An intervention may be, or may relate to, a product or process. The provisions in the Act give effect to the Agreement on Trade Related Intellectual Property, commonly referred to as the TRIPS agreement.’ Article 27 of the TRIPS agreement defines the subject matter of a patent as any inventions, whether products or processes, in all fields of technology provided that they are new, involve an inventive step and are capable of industrial application. An Invention is patentable if it is new and involves an inventive step and is industrially applicable. (i) An invention is considered new if it is not anticipated by prior art by the date of application or of the convention priority. (ii) An invention involves an inventive step if, having regard to the prior art relevant to the patent application claiming the invention, such inventive step would not have been obvious to a person having ordinary skill in the art. (iii) An invention is industrially applicable if it can be made or used in any kind of industry. A patent is granted by the Intellectual Property Office upon the successful application made by the applicant. The applicant must conform to the formal requirements prescribed by law and must contain a description of the invention, claim or claims, drawings if any, and an abstract. A patent is valid for a period of 20 years from the date of application for grant. The patented is required to keep the patent in force by paying an annual prescribed fee. (c) to conclude license, contracts involving the patented invention. From the point of view of the pharmaceutical industry, it must be noted that patents are of special significance. The marginal cost or the cost of manufacturing drugs is usually very low. However, these companies have incurred very high ‘sunk costs’ or initial investments for the research and development of these drugs. By protecting their drugs through patents, the companies protect themselves from competition and can recoup the costs of research and development. The State must ensure that at least the minimum core obligations are fulfilled. By enacting tougher patent laws the government provides for the continued profitability of pharmaceutical companies. But this burden of paying the dues for the companies cannot be at the cost of deteriorating health standards. Tougher patent laws will increase the extent of state obligations with regard to the provisions of health care, necessitating an increased in State expenditure on drugs. It is therefore important to keep in mind that State expenditure on health must increase with the introduction of tougher patent laws. It is then the responsibility of the State to introduce the properly planned system of State financing and /or compulsory licensing to prevent escalation of drug prices in countries like Sri Lanka, at the very least for essential drugs. In Re Intellectual Property Bill can be commended as a judgement that impacted on millions of Sri Lankans as well as on generations to come. Former Chief Justice Sarath N. Silva adopted a very farsighted approach and analyzed the likely effect of the proposed legislation on the millions of poor consumers and industrialists in developing countries like Sri Lanka. The Supreme Court took special note of the rights of patients, and also effectively addressed the issues of patenting plants and microorganisms. This judgement is a great victory not only to Sri Lanka but to all those in the developing and the least developed world right now faced with the ultimatum of drafting IP laws in conformity with the TRIPS Agreement in the near future. The Court stressed that people’s right to health must be accorded primacy. The ratifications and effective implementation of ratified Conventions are central to ensure decent work practices in Sri Lanka. Provisions referred to in the judgement are found in the TRIPs agreement as well as the Doha Declaration, on the TRIPS agreement and right to health which recognized this problem by stating that the “TRIPs agreement does not and should not prevent governments from taking measures to protect public health.” These mitigatory provisions can be utilized by countries to protect the interests of the right to health of the people. Therefore a clear understanding of the same is essential in attempting to harmonize the protection of IPR and human rights. Under the heading ‘TRIPS and Public Health’ the Doha Declaration identified the rights of governments in the following instances.